Where do Muppets come from? 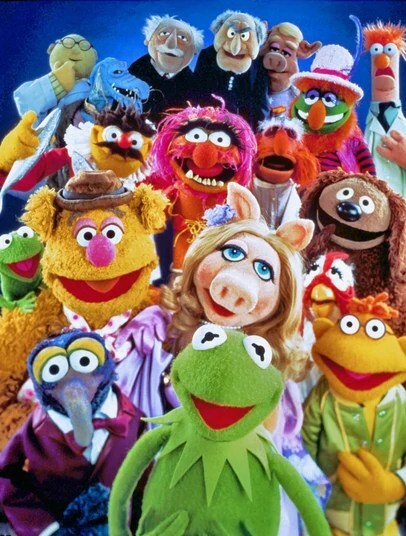 I just wanted to share this link about the creation of various muppets. Of couse, it foils our theory about Elmo being cooked up in a lab for maximum cuteness and commercial appeal, but I thought it was interesting nonetheless. I like how a lot of them sort of evolved over time from one shot puppets or commercials, or else they were just thrown together by whatever they had backstage. I assumed they were intentionally made with personalities as they are today fully intact. Also, I liked some of the things like how the Count used to be evil and Telly Monster was hypnotized by TV. I don’t know, I thought it was interesting even if Sara thought it was dumb. Please tell me you’ve shared this with Alexis! Hmm, not specifically. I don’t think she reads my blog!